These Super Cute Halloween Costumes For Newborns are just what you need to show off how cute your new addition to the family is this year. So many super fun options for the baby in your life, and of course these can even easily match a family theme if needed. Grab a few of these costumes and take advantage of the excuse to dress up your baby in a cute costume. Which of these super cute Halloween costumes for newborns would you love to dress your little one up in? Tell us in the comments! 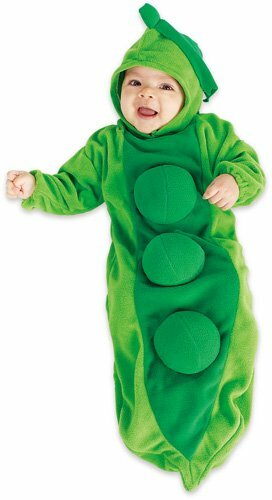 Pod of Peas: This is an adorable costume that makes your baby look totally precious. Your newborn will be the final smiling pea in this pod! Newborn Football Player: Complete with jersey and cloth helmet this is perfect for the major sports fan family. 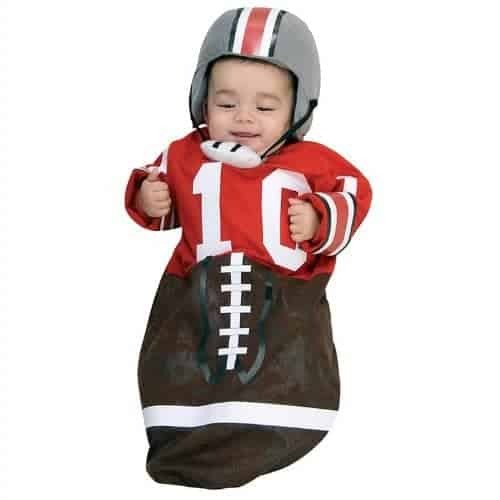 Not only cute for Halloween, this could double as your newborns game day gear for the first few months of their life. Carrot Costume: This knitted carrot costume with carrot stem hat is simply precious. There is nothing more adorable than a smiling cherub face poking out of the top of this carrot! Tootsie Roll Costume: You hear people say your child is so cute they could just, “eat the up”, well this costume sure does make you want to! Dress them in this cute and fun Tootsie Roll costume! 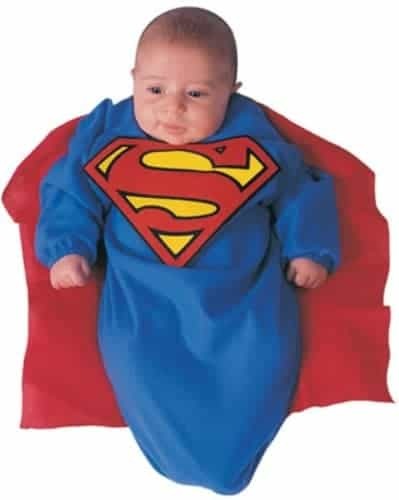 Superman Costume: Every baby has super powers to win the hearts of everyone they meet. This costume just elevates that another level! Sock Monkey Costume: Oh my soul is this adorable or what?! Everyone remembers the sock monkey from childhood. This costume is so cute! It’s a must for your, “little monkey”. Bumble Bee Costume: Everyone knows babies make the cutest little bumble bees! This one will “sting” you with their adorable smile and totally squishy cheeks! 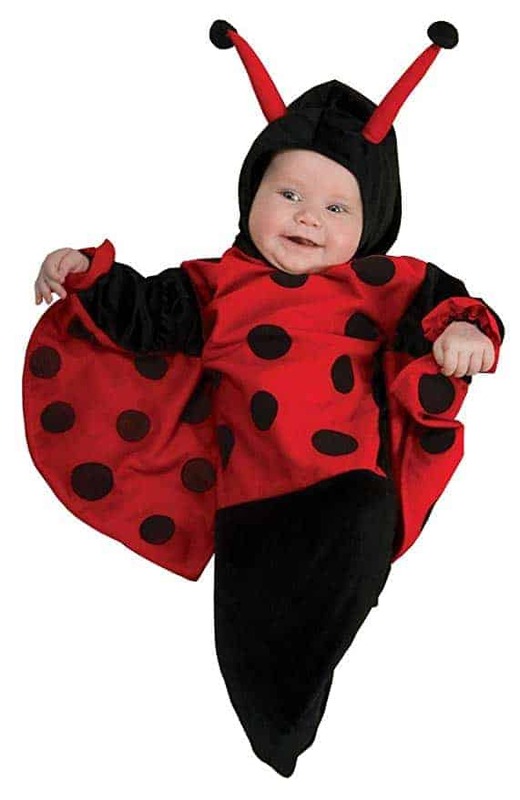 Lady Bug Costume: This classic black and red costume will bring you and your baby good luck of the ladybug this Halloween. So cute and a perfect way to celebrate your families latest lucky charm. Banana Costume: Seriously can it get any more adorable than a baby in a Chiquita banana costume? I think not! This is the perfect cute Halloween costume for newborns for you to grab today! 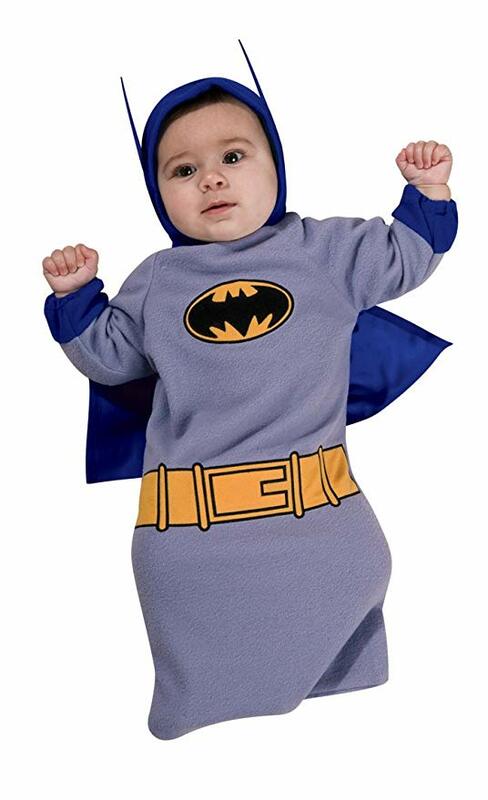 Baby Batman Costume: A budding super hero in training definitely needs to look the part and this cute Batman costume does just that. The tootsie roll pop outfit is too cute! I don’t think I have seen one before. I love the tootsie roll and the baby batman–they are the most adorable I have seen yet!! The carrot costume is so cute! I will let my cousin know about this. She has a 5 month old little girl who would definitely look adorable in that carrot costume. I loved dressing my boys for Halloween when they were babies. These costumes are so adorable. Oh my! These costumes are just too precious. My sister has a newborn so I will definitely have to tel her about these. Oh my. I love the peas! My first born was 2 months at Halloween and my 2nd wasn’t even a full month old on Halloween so my first born was a little bumble bee and my 2nd was a princess! SO CUTE. They stayed in with me helping give out candy! These are so cute! I love all of these- now I want another baby! Oh my goodness, these are all so cute, but I LOVE the banana one!!! That carrot one is absolutely adorable. I’ll bet it keeps him warm also! Oh my gosh these are so dang cute. I love the pea pod and the little lady bug! My little boy was a frog when he was tiny. Oh this makes me want a little baby to dress up again. That sock monkey outfit is just too cute! I like that these costumes are onsies! That makes getting that wiggly newborn ready to go so much easier! I remember how squirmy my niece was getting ready for her first halloween! These are such cute ideas for the little ones. I love to see all of the cute kids dressed up on Halloween. Rule of thumb for parents, the cuter the little one is, the better candy I give out. When they are this little I know the parents are eating it! These are all so amazingly cute! I never had the chance to dress up my Kiddies as newborns simply because of where their Birthdays landed on the calendar BUT if I had the chance I think I would definitely go for either the Sock Monkey or Batman cosutmes. They’re just so adorable! These are such Halloween costumes for babies. I love the Batman one the most it would be perfect to pair up with an older brother as batman too. I can’t wait to see all the Halloween costumes we get at the house this year. These costumes are too cute. Makes me wish I had a newborn again. I love how warm they look, that is very important in Colorado at Halloween. Sometimes we have snow that early. They look so warm! Now I need a baby to put one on so I can show them off but they must go back after I take pictures and show them off. I love that these costumes are nice and warm for the little babies, I’m in WI and it’s typically pretty chilly come trick or treat night. Personally, the Batman one is my favorite!